There is a currently a large group of fugitives on the run inWestern Sydney. 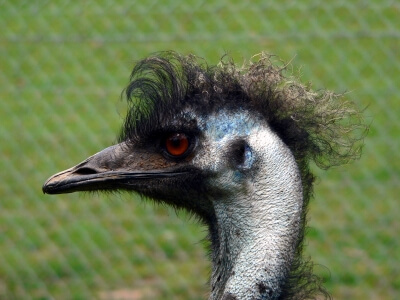 A mob of emus has escaped captivity after a perimeter fence was breached. The Australian authorities are already working to round up the escapees and get them to safety but in the mean time, drivers are being advised to be on the lookout and be ready to take evasive action. Generally speaking driving in Australia is a civilized experience. While there are hazards in the outback, these are comparable to the hazards of driving in remote countryside anywhere in the world. Australia drives on the left. Distances are in metres and kilometres, and speed in kilometres per hour. Seat belts are mandatory and the alcohol limit is 0.05% throughout Australia. This is strictly enforced to ensure safety on Australia’s roads. Police conduct random breath tests on a regular basis, so drivers may be stopped at any time, even if they have been driving well. People moving to Australia have a choice of buying or renting a car in country or importing their own. Both options are straightforward, but both do require some paperwork to be completed in English. They are also likely to require official translations of relevant documentation. A NAATI translator will be able to help with this along with other immigration-related requirements.